Rose are red, cake is yummy. 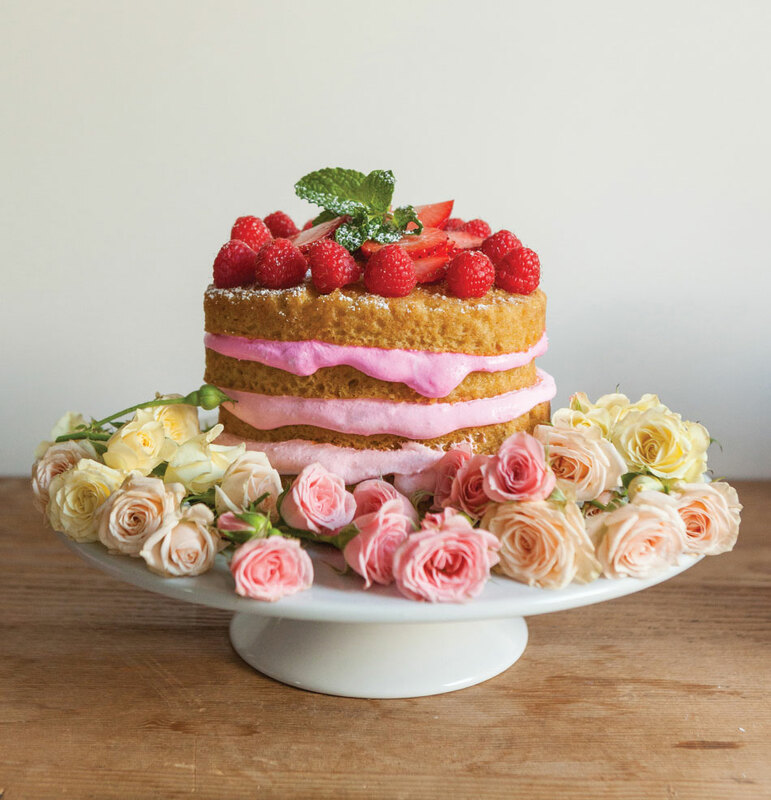 Make this next level cake and get in in your tummy! Last month, our friend Dana came over with the most amazing homemade olive oil cake. The cake was proudly devoured- we’re talking every morsel! 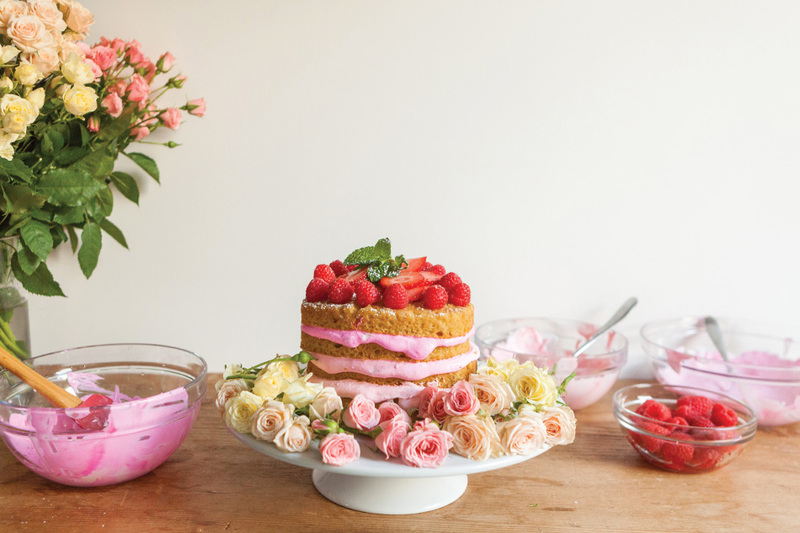 Who knew vegan treats could be so next-level!? Turns out, Dana’s recipe was actually adapted from everyone’s favorite hip Vegan lady, Chef Chloe. Get the recipe HERE! 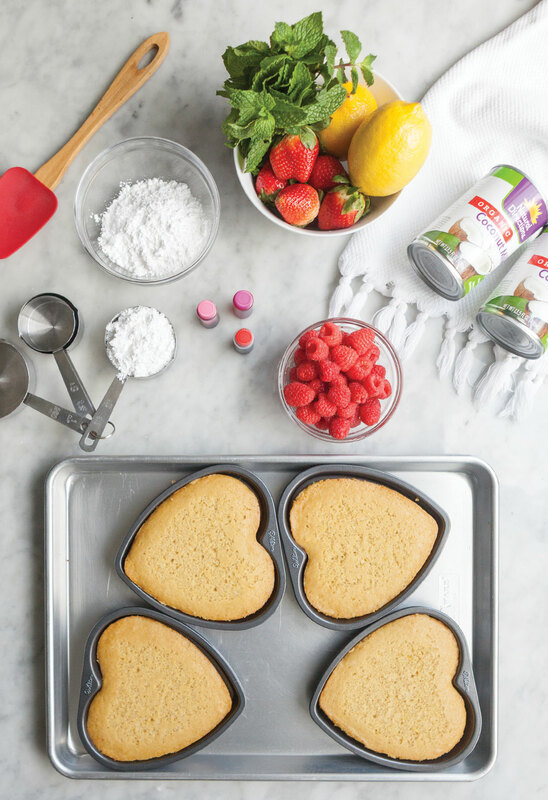 We left out the grilled nectarines and opted to bake four mini hearts in THESE cake pans from Wilton. 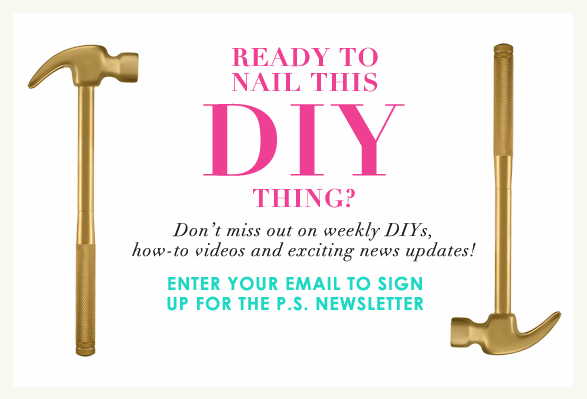 P.S.- You can also make Pizza in them too! 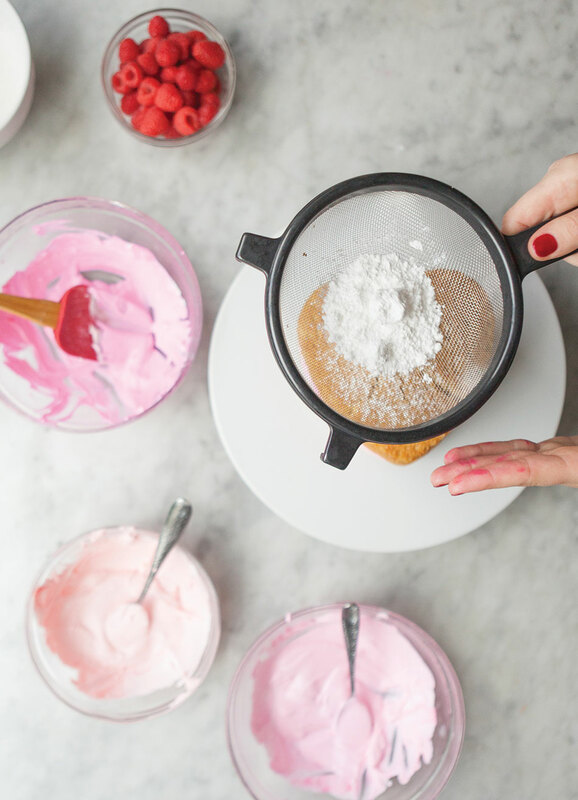 After your olive oil cakes have cooled, it’s time to whip up the perfect coconut whipped topping and decorate with berries! 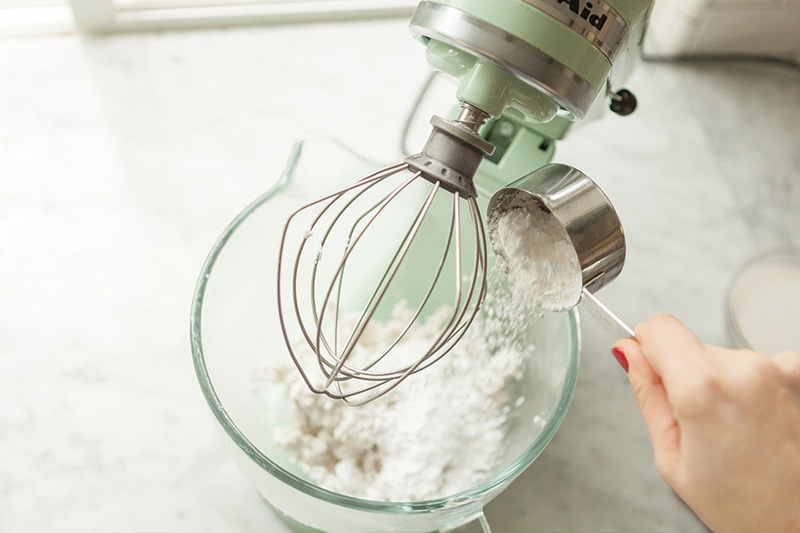 To make the coconut whipped cream: Chill the bowl and whisk of a stand mixer in the freezer for about 10 minutes. If they are not very cold, the cream will not whip properly. Skim the solidified coconut cream from the chilled can of coconut milk and transfer the solids to the bowl of the stand mixer. Do not include any of the coconut water, even if you have to leave behind a little margin of coconut cream (even a little bit of coconut water can harm your results). 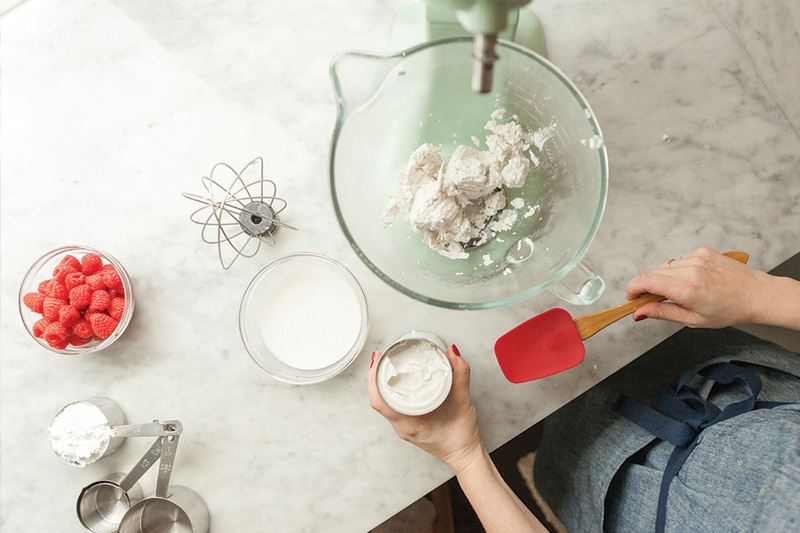 Add the powdered sugar and whip for a few minutes until the mixture begins to stiffen and turn into whipped cream. Chill the whipped cream in a covered container in the refrigerator. It should firm up even more as it sits in the refrigerator for the next few hours or overnight. Now for the color! 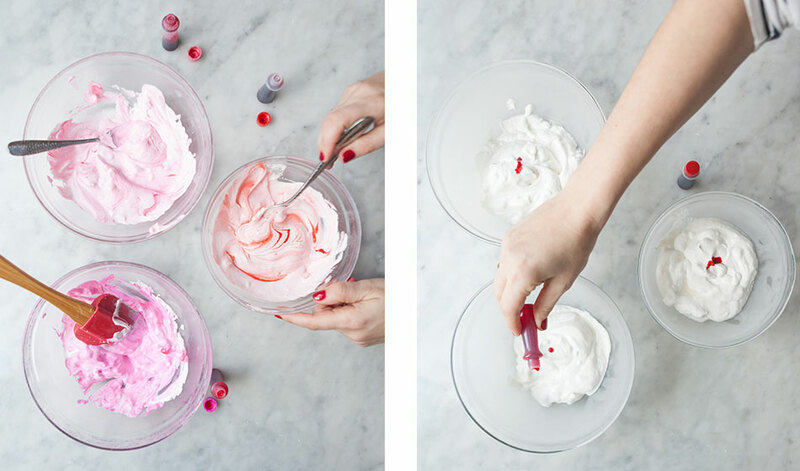 Divide the whipped cream in three separate mixing bowls. Drop your favorite shades of food coloring into each, until you achieve the color you desire. We went with a slight ombré vibe. 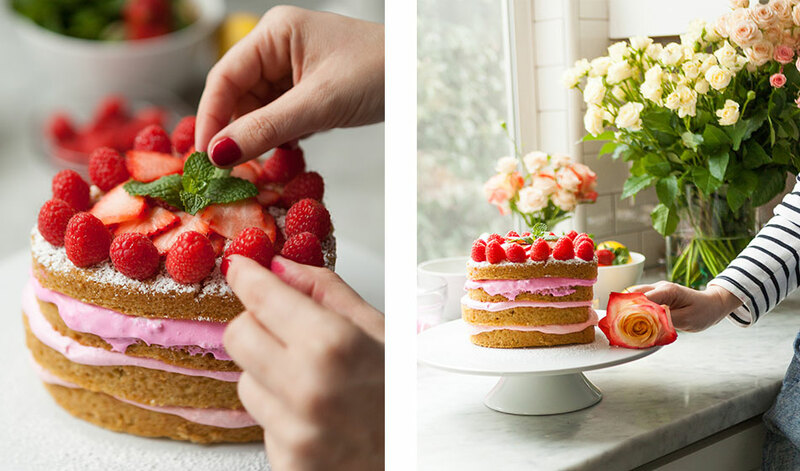 Ice and stack each cake layer leaving a ½ border around the edge. Leaving a non-iced boarder allows the icing to spread to the edges as you add weight with the other cake layers. P.S.- spatulas are you best friend. Top off with some powdered sugar! Top with berries and mint! 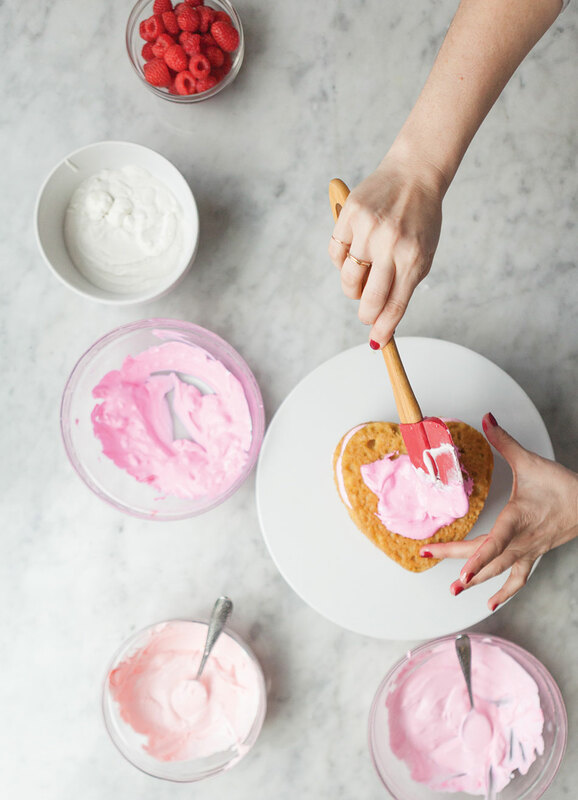 Word to the wise: decorate your cake on the actual surface/platter you are going to be serving on so you don’t need to worry about transferring it once the cake is complete. Moving a delicate layered cake is risky business! Introducing the most delicious Vegan Olive Oil cake with Coconut Whipped cream you will ever taste! 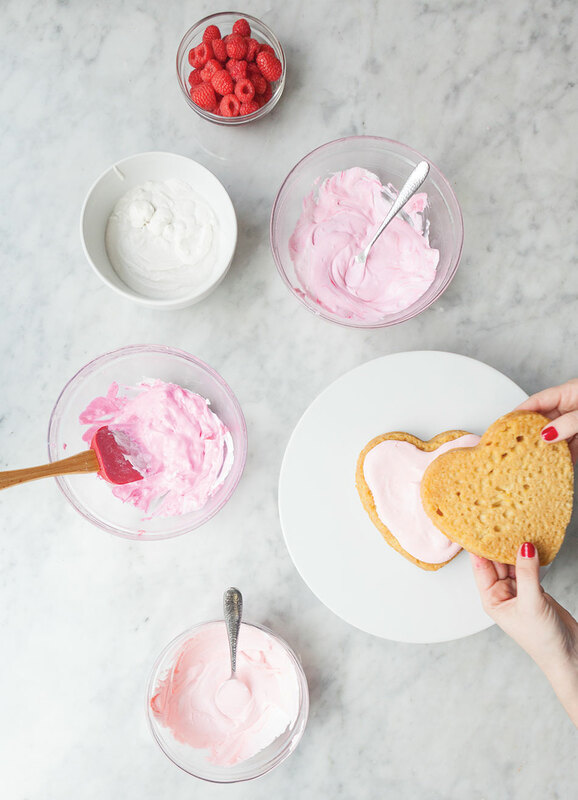 Thanks Chef Chloe for inspiring our ombré heart version!